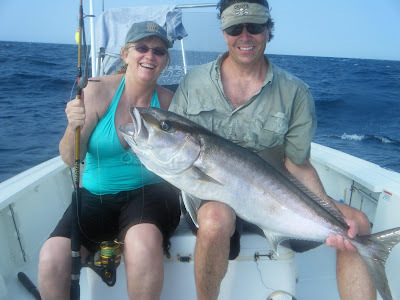 Rob and Dianne with a great catch onboard for 6hrs. It was a ROUGH day but they toughed it out and it all payed off. 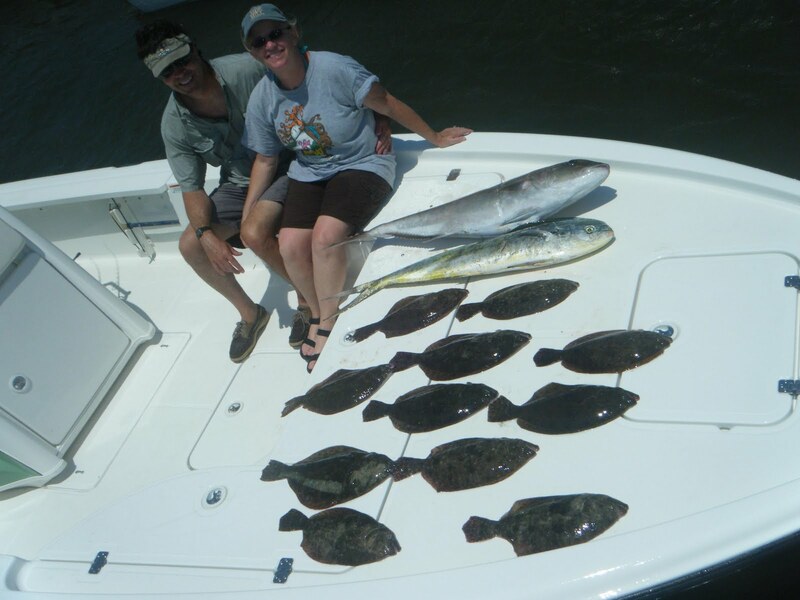 They battled a 30lb AJ, 4 Barracuda, a 12lb Mahi, and then we jigged up 20 flounder and kept 11 from 1.5 to 3lbs. Great Job Guys! 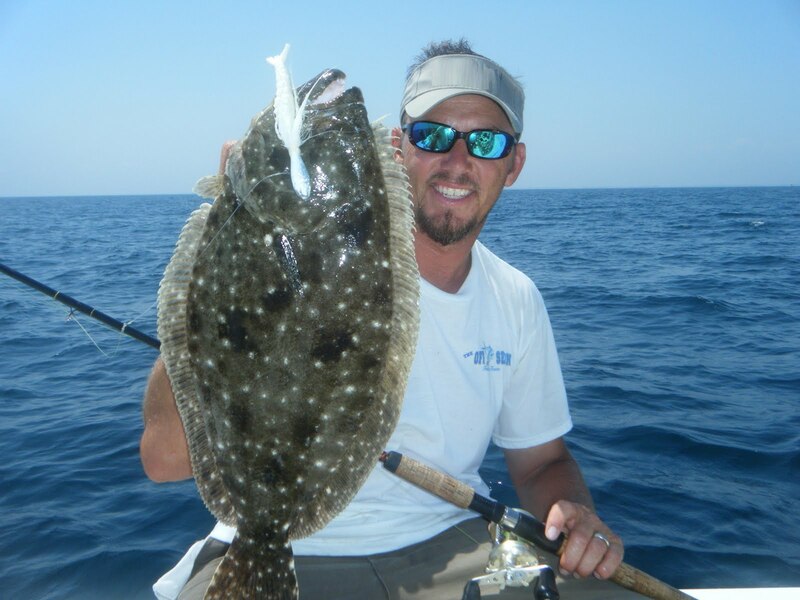 Mike and Sam stuck it out for a quick afternoon trip in a strong SW blow. 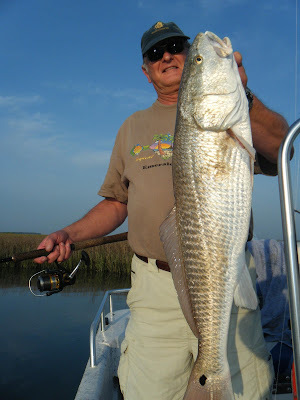 It was atough time so we modified our fishing and used the wind to our advantage. 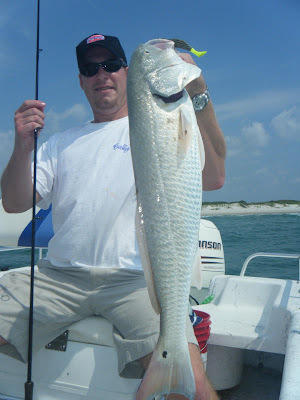 We wound up landing 4 sheepshead and 3 redfish before heading back to the dock. Good job on that 28in Redfish Sam! Brian A. and his son of Virginia watched our new Amberjack episode on CFTV recently and really wanted to battle some of those Reef Donkeys so we started out with some serious lock down drags and these guys had a ball! 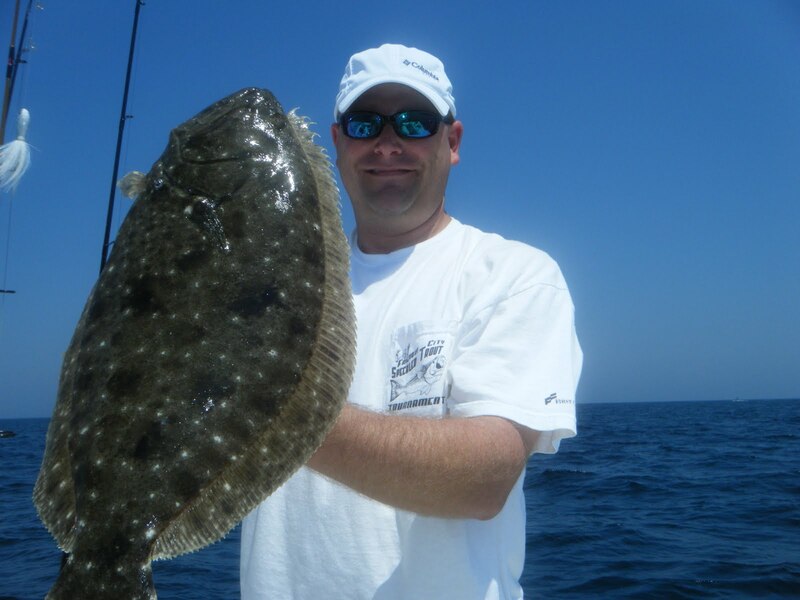 We moved back nearshore and finished up with some 3 to 5lb spanish and also landed 18 flounder with 8 purrrty ones. These guys had two doormats! Very enjoyable day despite the 15 to 20mph winds. WHAT A DAY! 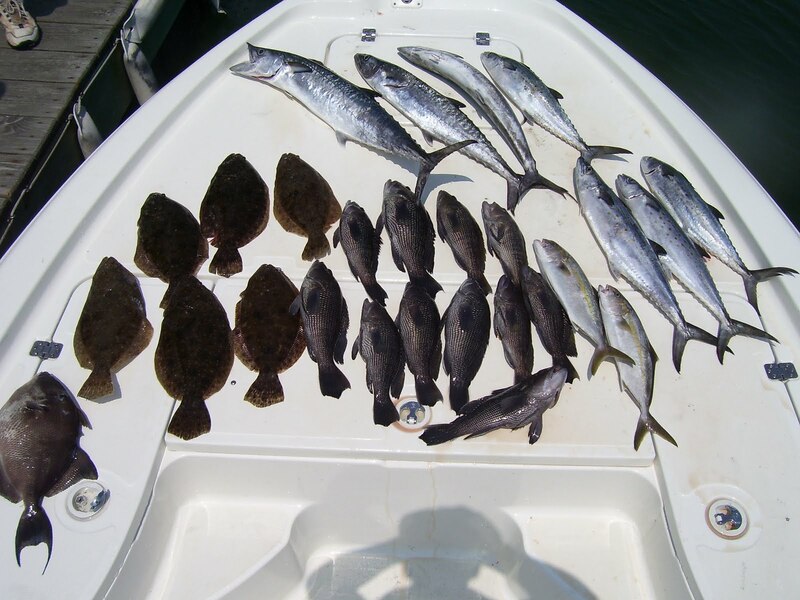 We had a big group today and split them between two boats. 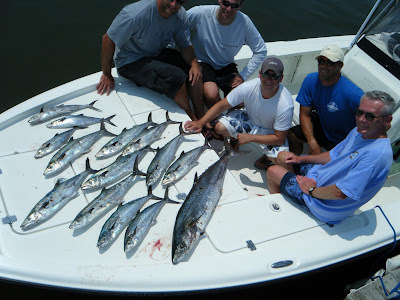 I had the crew of guys and we spent 6hrs working over 4 to 6lb Spanish Mackerel with very light spinning tackle. We were very fortunate today and landed a couple of big Kings including a 25.48lb King on 10lb test and a no. 6 gold treble! Unbeleivable fight! Great Job Ryan! 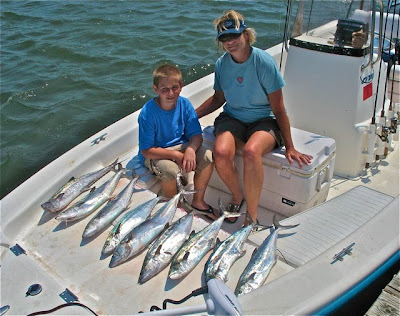 It was a beautiful morning and Judge Joe C. and family stepped onboard for an awsome morning of 3 to 6lb Spanish Mackerel action. It was steady knockdowns for several hours. We had a buch of short strikes but still boated 8 Sow Spanish and 1 King. Good Job Ian, Kary, and Joe! 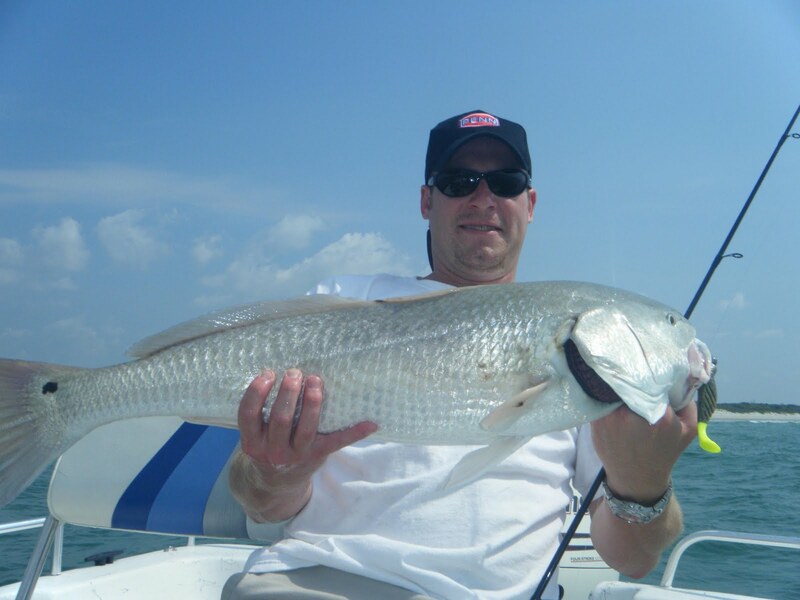 Dan Vinent of Pure Fishing with some Pigs while prefishing with me for the HT3 Redfish Tournament last friday. 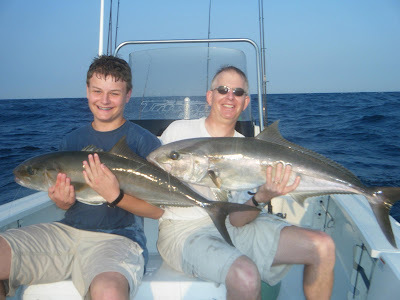 Great job both prefishing and in the tournament Dan! We had a quick 4hr trip this morning with the Walter Crew and focused on some boat docks. We were graciously awarded with a handful of Reds and flounder for the cooler. Today was HOT! 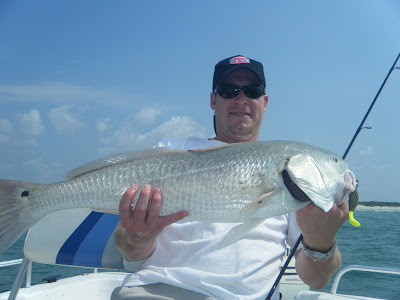 I fished with Todd E's Group onboard and we targeted a variety of species from 2 miles to 10 miles. We had a steady bite throughout the day on all targeted species. We wound up landing 5 Kings with 3 keeps from 5 to 10lbs, 4 big spanish from 3 to 4.5lbs, 15 flounder with 6 keeps from 1.5 to 2.5lbs, dozens of seabass and kept 11 bigens from 1 to 3 lbs. a purty 3 lb. 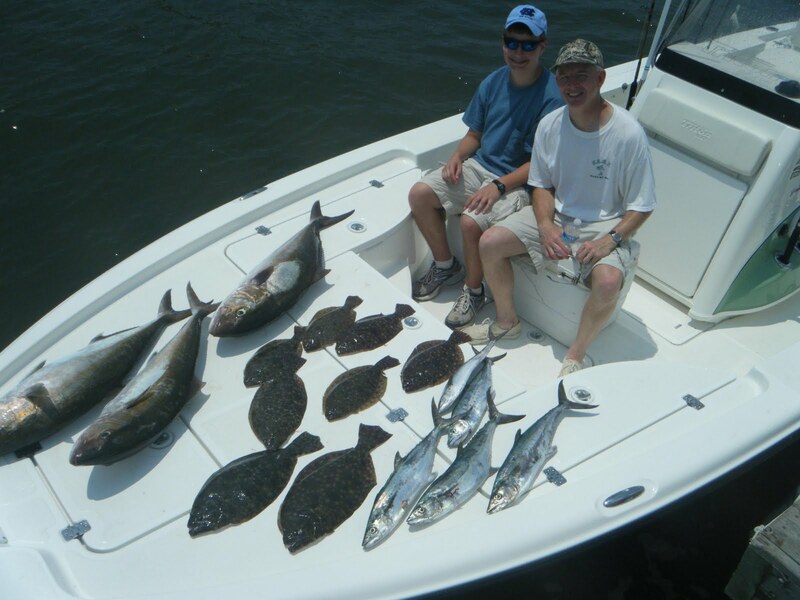 Trigger fish, several Almaco Jacks and even released a 23 1/2in grouper. A great day despite the extreme heat and no breeze! Thanks guys and great job today! Fishing is On Fire! 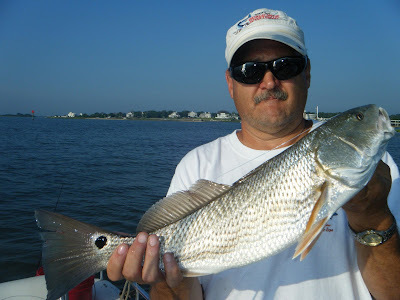 Reds, Big Spanish, Flounder and more! Doug Jones and family were onboard this week for 6hours of fun with steady hook ups on 4 to 5lb Spanish Mackerel. We picked off one king with the Spanish before the bite shut down. We switched over to jigging flounder and wound up landing 11 flounder with 7 keepers in less then two hours. Great job today guys! 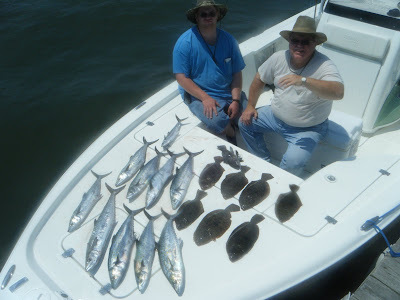 Dion Lynn hopped onboard for a quick 2hour afternoon trip and we were able to boat 16 flounder and kept 6 from 1.5 to 5 lbs. All fish struck Berkley Gulp Shrimp fished on a 2oz. bucktail. This action should continue all Summer... Call today to make reservations. 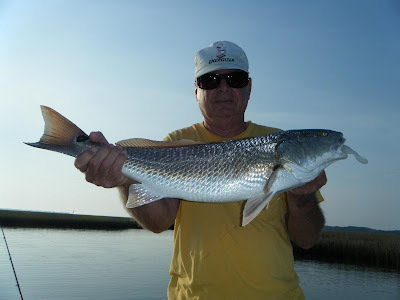 Tom and one of his Buddies stepped on for a quick 4hr trip chasing some redfish. What a bite! 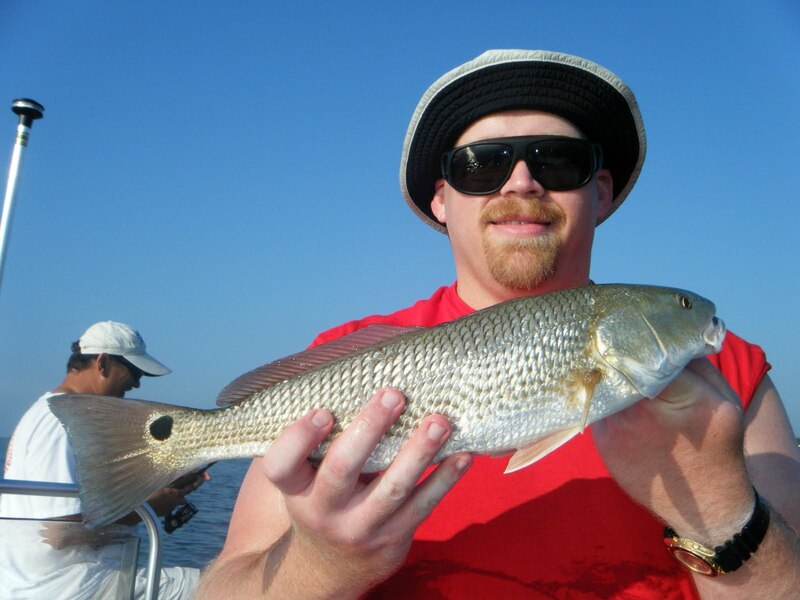 We managed to get on a good school of reds that were feeding just as hard as they could. 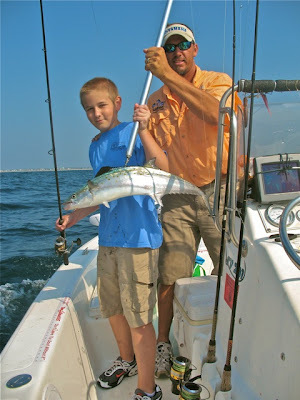 Great job keeping those fish on the hook guys! I've been very busy but here's a few shots from the past couple trips. 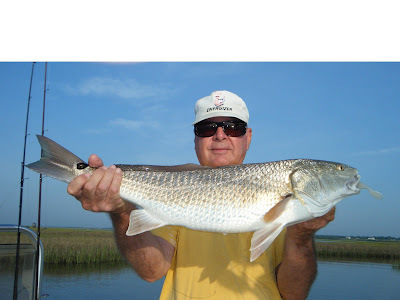 This afternoon Jay and Jeannie Shulze hopped onboard and we made our way out hoping to find a few redfish before switching over to sheepshead fishing. Our second stop produced a beautiful tournament redfish at exactly 27in on both sides and we moved on trying to avoid a late afternoon storm. 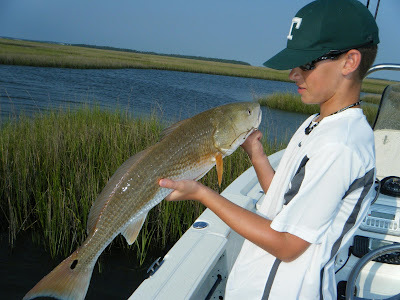 We switched over to sheepshead fishing and spent the next 2 1/2hrs burning through the fiddler crabs. We managed to land about 17 sheepshead and kept 14 from 3/4lb to 1.5lbs Great job on all those hook ups Jeannie! I took my daughter, Alyssa, out fishing for about an hour one weekday afternoon this week and at 2 1/2yrs old she has just added another fish to her list of succesful catches. She caught 4 sheepshead on her new Barbie Rod! 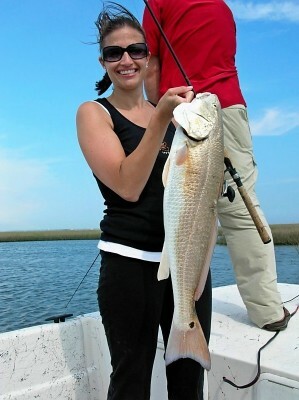 She's now got a 26in redfish, 14in Flounder, and 1.5lb Sheepshead on that list. 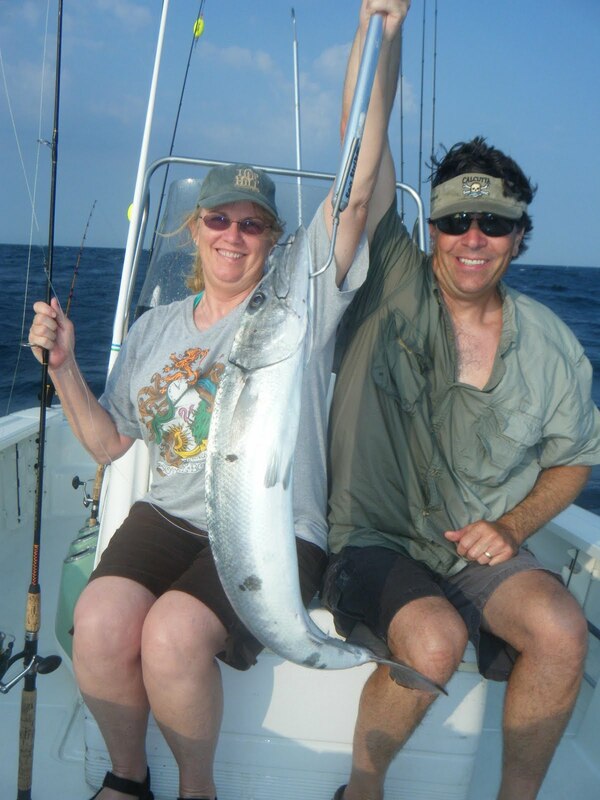 She is absolutely excited about fishing! Whew.... thank goodness for that. The sheepshead bite continues with plenty of 1 to 3lb fish around. The larger fish are there but it's hard to get through all the smaller fish. The last two trips we've used up several hundred fiddlers in a couple hours of fishing. Stop by Dudley's Marina in Swansboro if you need live fiddlers. Today I had one of Dudley's employee's (Zack) on as we scouted out some new spots. 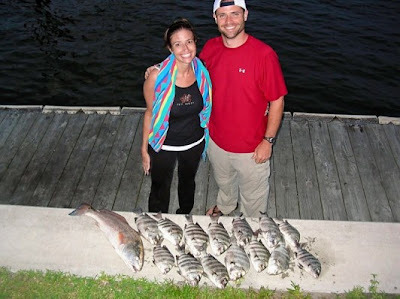 We fished from 3:30-6:30 and landed about 30 sheepshead from 3/4lb to 2.5lbs. Also picked up a 4lb black drum. 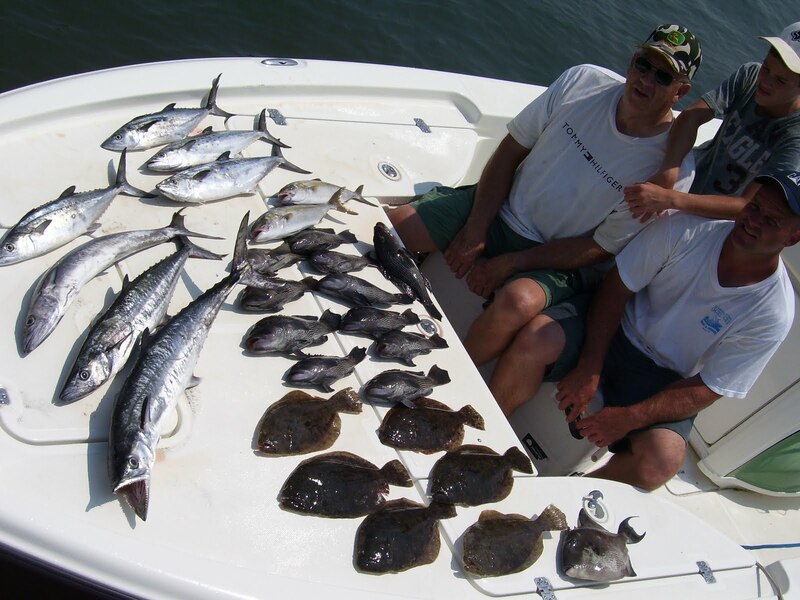 Most sheepshead were caught on the bottom using live fiddler crabs.